“We believe it’s important for everyone at a workplace to know where the germs are,” says CEO Eric Roudi. “A cleaner workplace is a more productive workplace." Roughly 65 percent of regional employees are mistaken in their perceptions of the most vital location in the office to keep clean. 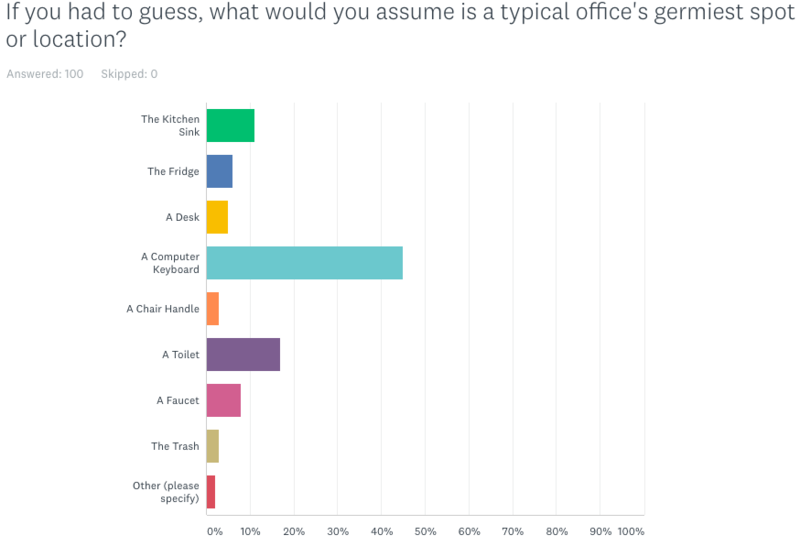 And, approximately five out of 10 people responding to a recent independent survey, underwritten by commercial cleaning franchise company OpenWorks, don’t know the germiest spot in the office. Area office workers were polled to mark the opening of the newest office location for OpenWorks in Charlotte, a move that supports the company’s overall growth strategy. 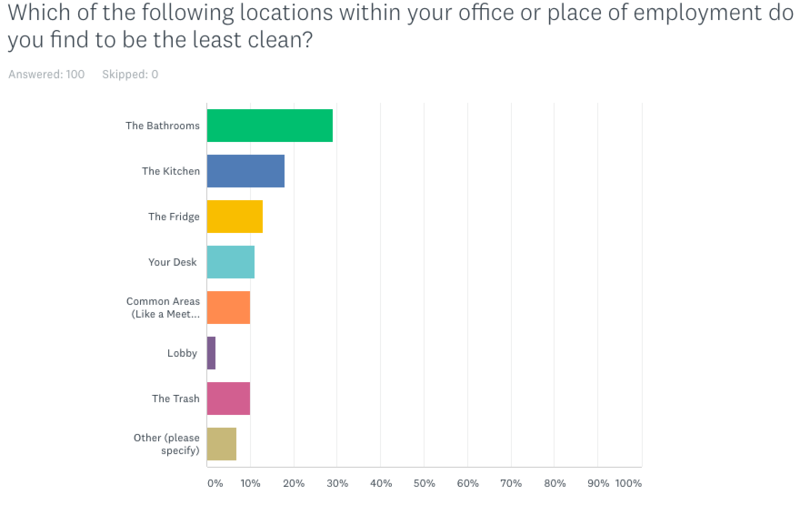 The survey results reveal that most workers are not well informed when it comes to knowing the dirtiest place in the office. “Having a clean workplace makes a world of a difference in employees’ health, professional image, and the overall view of the company,” says Eric Roudi, CEO of OpenWorks. “We believe it was important to fund the independent survey to determine if there are a lot of misconceptions about germs in the office. There are,” he adds. Nearly seven out of 10 employees believe that the bathroom is the most vital space to keep clean in the workplace. One would think that the bathrooms in the workplace would be the most vital location to keep clean, but an office desktop is host to numerous types of harmful germs. Around 45 percent of survey takers responded with the computer keyboard as being the germiest place in the office, yet the phones are the sites where most germs and bacteria proliferate. The toilet seat is home to a trifling 49 germs per square inch, in comparison. “We believe it’s important for everyone at a workplace to know where the germs are,” says Roudi. “A cleaner workplace is a more productive workplace,” he adds. “When you arrive at the office, think of the number of items you touch within the first hour. Germs are on everything we touch, and at OpenWorks we believe it is crucial to keep those germs in check, “says Zach Earles, the new Regional Sales Director for the OpenWorks office in Charlotte. OpenWorks operates nationwide, cleaning more than 2,500 facilities and 30 million square feet of space daily. Its move to Charlotte marks the company’s 17th regional office location, and there are plans to hire additional regional staff, including sales positions. OpenWorks survey respondents mentioned chair handles, the kitchen sinks, and fridges as some of the other places where germs can spread. “Germs can live on almost any surface in the office, so most of the respondents were correct about where germs can be found, but just not where the worst spots are,” said Earles. OpenWorks designed and analyzed this online survey of 100 employed adults across the Charlotte Metro Area. The survey has a ±14.1% margin of error.